Selling bread is easy, you’d think. You have the amazing smell, and a versatile product that’s seen as pretty much a part of a staple diet – despite what health and fitness folk will tell you. But what happens if you sell bread in a town where someone else also sells tasty bread? What do you do then? In a busy high street the hustle and bustle of busy people fills the air. The cars drive past and the children shout. The occasional sound of an emergency vehicle’s siren will fill the air and the smell from eateries and coffee shops tempt you in. City, town, or village life can differ – but the people are what make it come alive. If you sell bread and cakes you have to rise above all this noise and hustle and bustle. You need to be seen and heard, and you need to sell your wares on the day they’re made. It’s easy if you’re the only baker, but not so easy if the people have a wide choice. Ben the baker makes exceptional bread. He has fresh bagels for the trendy folk, wholegrain for the healthy guys, and he has buns and Danish pastries for the communters on the way to the train station. He even has a coffee machine as up-selling rocks. 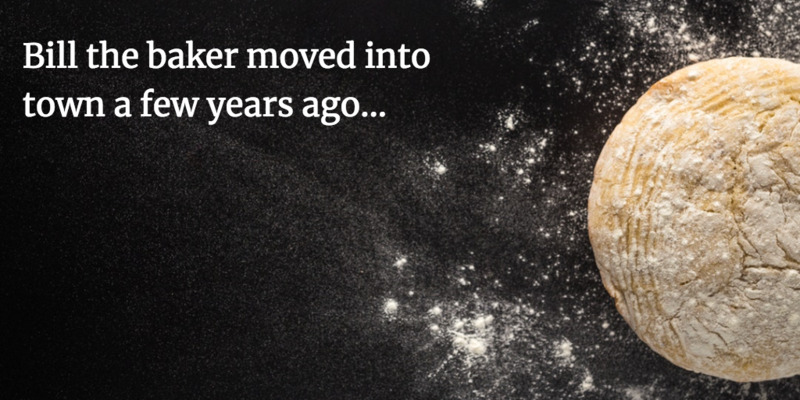 Ben has been a baker for a very long time and he’s well known to the local people in the town. He’s a font of knowledge and he’s one to share stories and news with, too. That’s what small towns are known for. Ben wasn’t concerned, as he knew his customers were loyal and no one made bread like him. But Bill was trained in London. He knew about artisan bread and café culture. He knew that bread wasn’t about eating, it was about an experience. He knew that coffee is no longer just coffee. Customers like to be able to choose from different blends made by that expensive Italian machine on the counter. They both made superb bread. They both had good marketing and they both knew a thing or two about selling bread. But Bill knew about something about people. You see, Ben the baker was well known for his gossip and his local knowledge. He knew about customers’ families and asked after them. People locally knew him and they sent people to him for his strong customer service, and of course great bread. Bill was new though. He has a lot of catching up to do so he applied something very powerful… his feet. Each day, Bill would set foot outside his bakery in between batches and leave his young assistant to sell the bread and Italian coffee. Bill would stand on the footpath and chat to people passing by. He would say hello to the regular commuters and he’d wave at passing children. Each day Bill became more and more engaged in the local community and as the weeks went by he became more and more well known in the area. Bill didn’t sell anything on the footpath. In fact some days he gave away broken bagels and pieces of Danish to people rushing for the train. Bill just spent time chatting, waving, and smiling. Ben stayed inside, baking bread and talking to the people who’d been coming to him for years. Bill helped give directions to people on the street who he didn’t know, Ben waited for his regulars to come in. 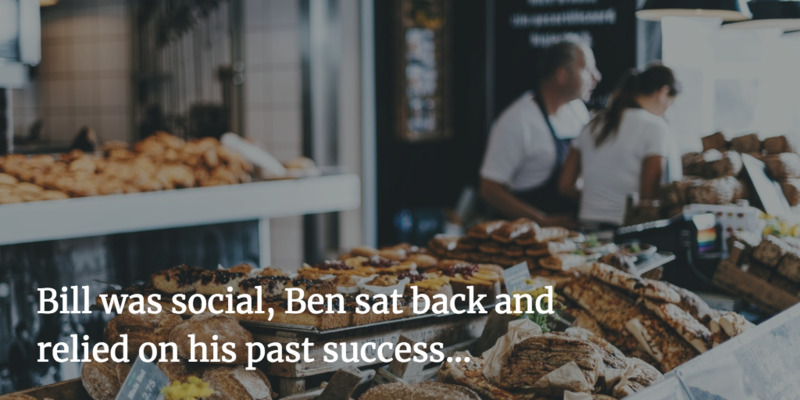 Bill was social, Ben sat back and relied on his past success. So Bill started to make some ground. People passing started to get to know him and vice versa. Bill was charming and helpful, and he used some downtime to simply be a part of the morning commute and the hustle and bustle of the town. Over time, people bought more from Bill because the liked him. The felt compelled to buy from him because of all the free content he gave them and they simply trusted him as they’d got to know him. Bill was social, but Ben stayed inside. Social media allows you to join the conversation. 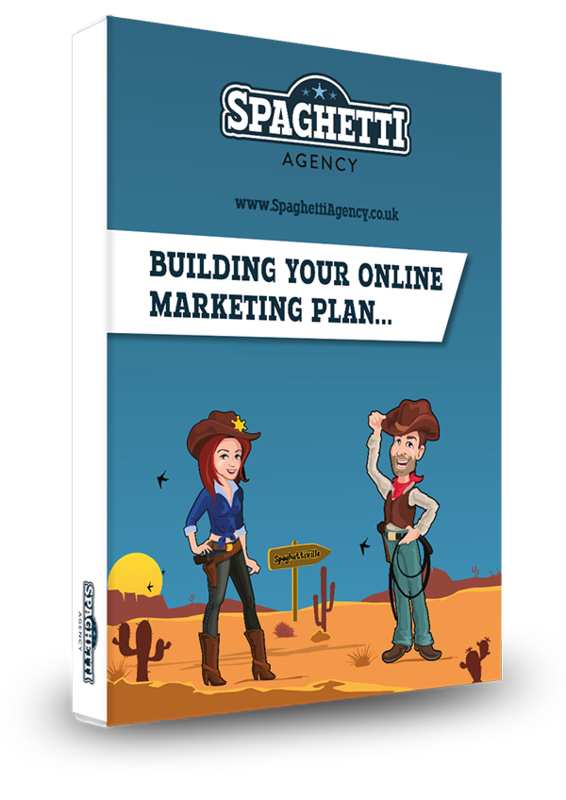 Social media allows you to step outside your business and chat to people. 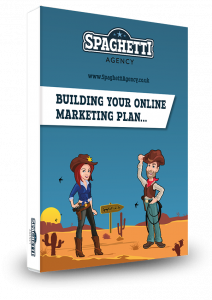 Social media gives you a great chance to sell – without selling. Social media can be done in between your jobs and when you have the time to do it. Bill was social when he could and worked when he had to. Bill didn’t sell; he engaged. Over time Bill won new business and even some business from Ben. Being social works. Talking to people is powerful. Not selling and actually taking an interest in others has worked for decades and more but more so now. Online, on TV, in the papers and on the radio – it’s busy! There’s a hustle and bustle and no one is really listening to sales or adverts. They care about themselves and they’re just trying to get somewhere. If you spend time on them, helping them to be better or to get to their destination faster they’ll remember you. If you give some free bread they might buy from you. Every day when you open your computer, log into your social media, read or send emails, run an ad or call someone up – you’re entering a very busy high street. So take an interest. Be part of their day. Add to their experience. 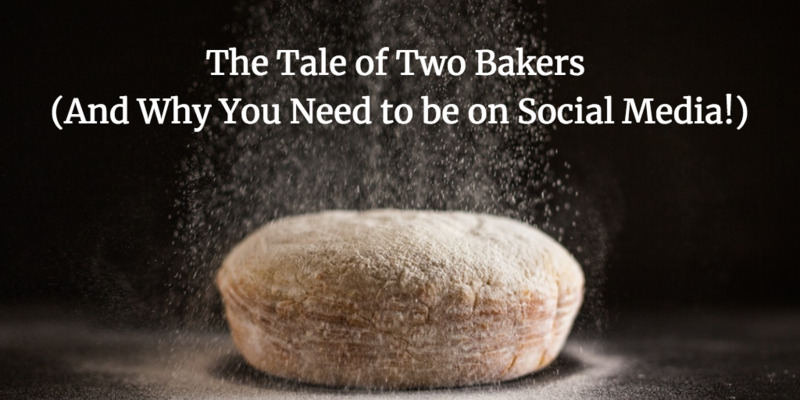 Use social media as a conversation starter and a relationship builder and do it when you can, when your bread is baking, or while you’re eating your lunch time sandwich. As your bread rises, your conversation flows and slowly but surely the feet walk into your bakery. Bill gets it. Be like Bill. Yeehaa! Thanks Samantha and thanks for sharing! Just been to a 4N meeting were the person giving the 4sight quoted this blog. That’s impressive.